Hoardings were temporary wooden roofs, erected when battle was near. They protected against arrow fire. 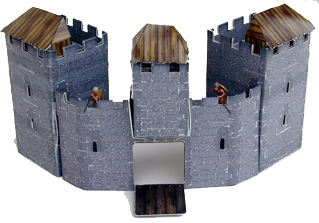 Hoardings for Cardboard Heroes Castles are included with Castles orders from Warehouse 23 and distributed at selected events Steve Jackson Games attends. Cut out the hoardings along the dark lines, then score the hoardings along the light lines on the "inside" of the hoardings (the side without the shiny finish). 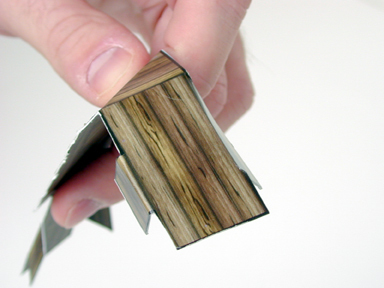 Fold all the score lines toward the inside. 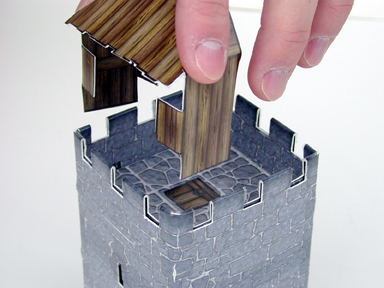 Hold the hoarding so that the legs are vertical above an appropriate size tower. 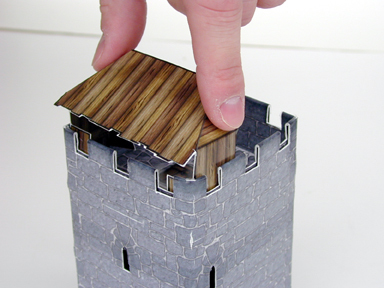 Slide the legs inside the tower walls, so that they slip between the roof and the tower wall. 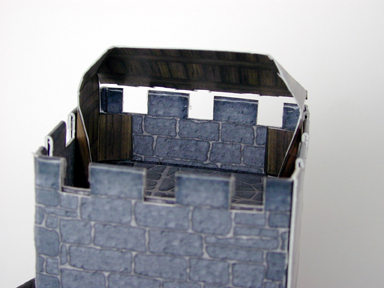 The square tabs should be next to the front wall of the tower. For maximum stability, push the hoarding down until all four tabs are in contact with the tower floor. From the back, hoardings should look like this. 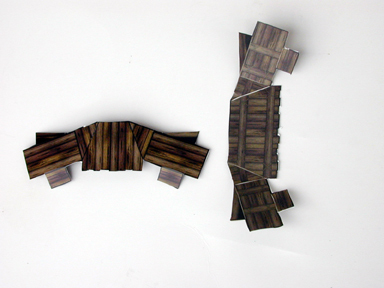 Note how the tabs fold in so that they do not slide between the wall and the roof.